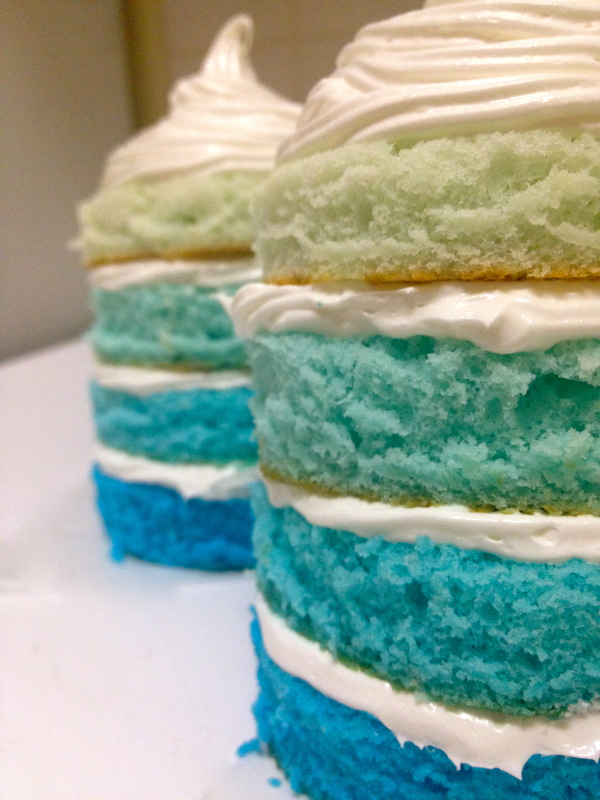 Baby Blue Ombre Cakes | how 'bout some cake? Hi there “How Bout Some Cake” readers! 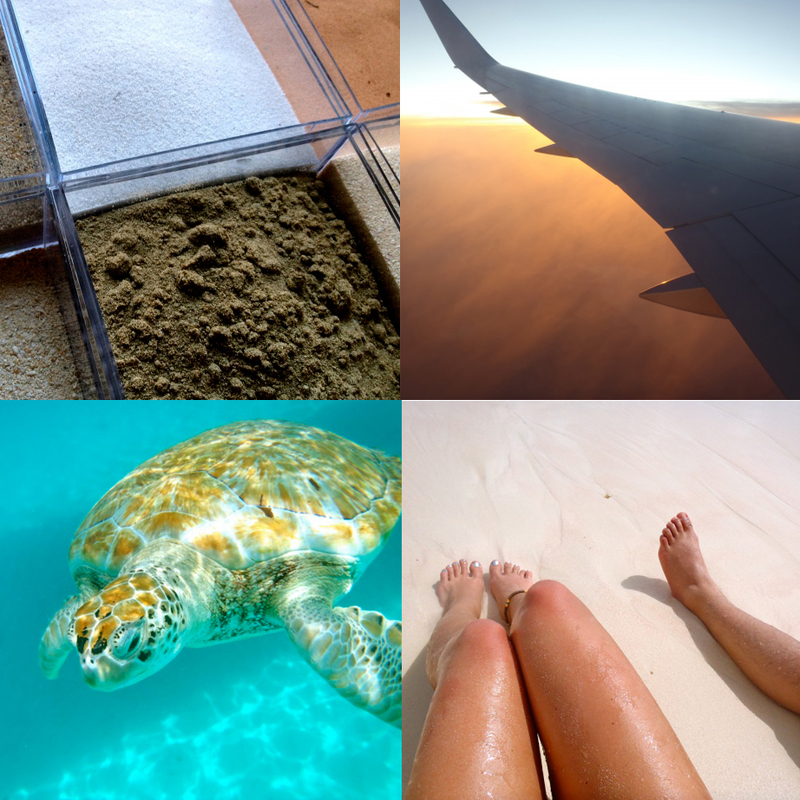 My name is Jordan and I write the blog Meet Me In Paradise. I am absolutely thrilled and honored that Rachel has asked me to write a guest post today. Ever since I first stumbled upon her blog, I was instantly hooked. We are definitely blog soul mates! I first decided to start a blog because my corporate life was seriously lacking creativity. 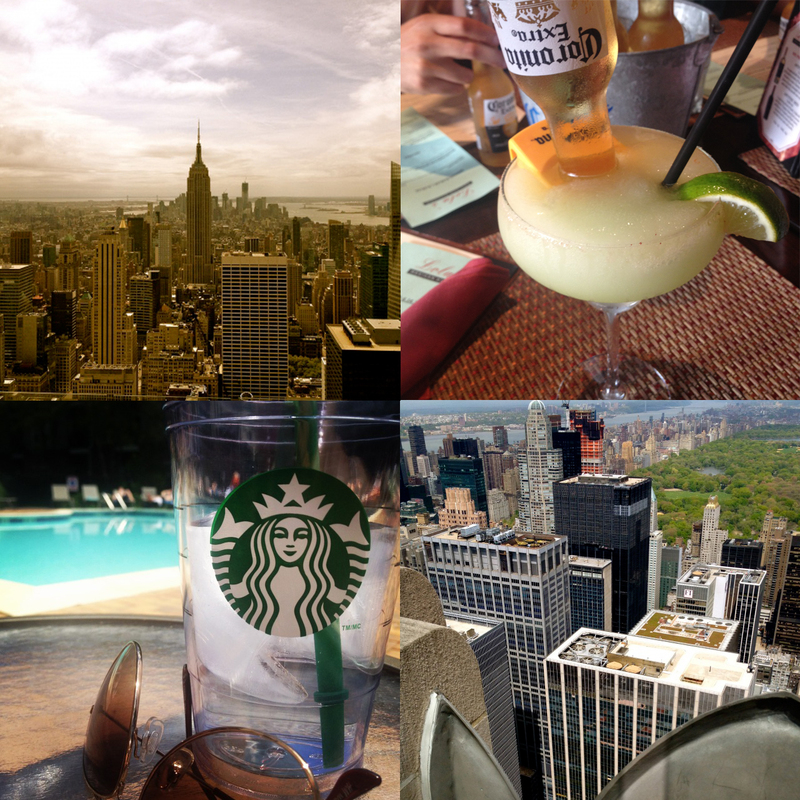 My blog focuses on travel, food, photography, crafts and the life of a 20-something…. All I used to make this cake was 2 boxes of white cake mix (with the ingredients it entails), 2 jars of frosting, and food coloring. 1. 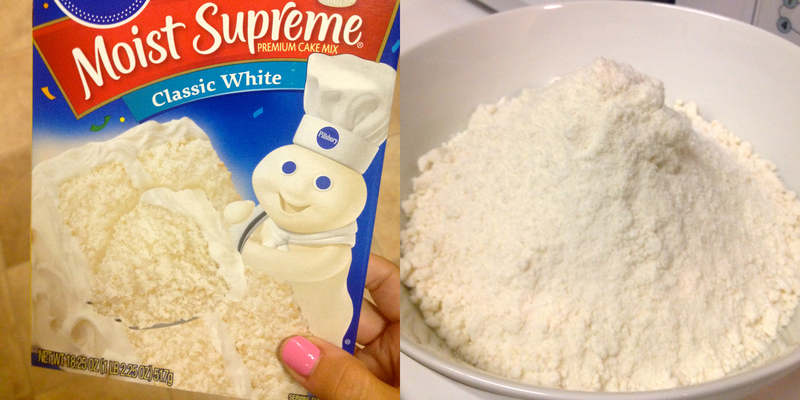 Make the cake mix according to the directions on the box. 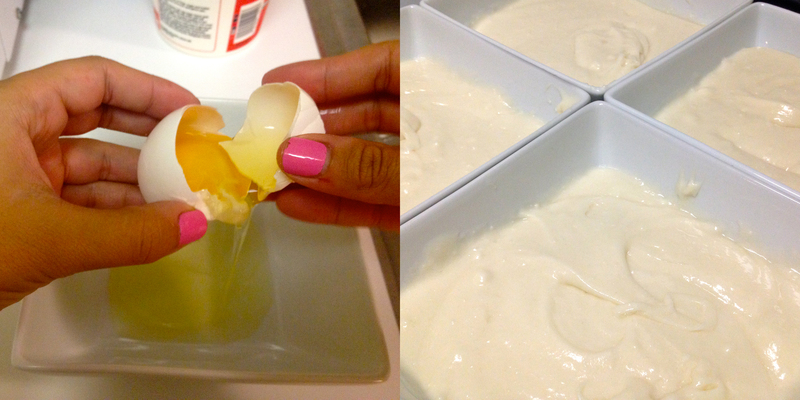 Be sure to only use the egg whites and not the full egg recipe. We want the base to be as white as possible! 2. Evenly pour the cake mix into four separate bowls. 3. 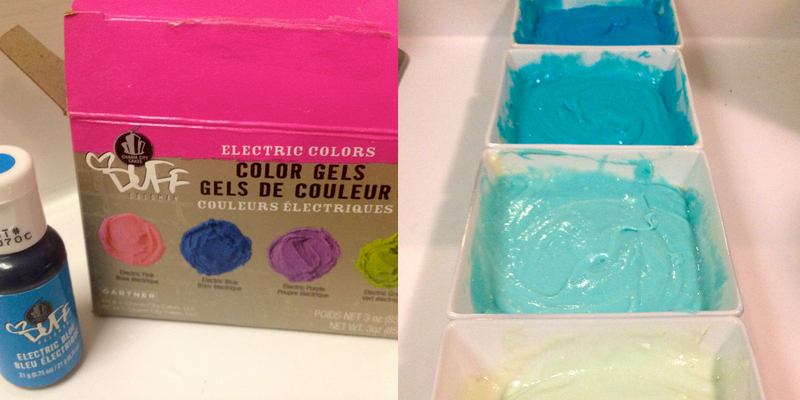 Add food coloring to each bowl and mix to get the color scheme you would like. I used 5 drops for the lightest color and 20 drops for the darkest- but be sure to eyeball it and to start with less, because you can always add more color, but it’s hard to go back if you add top much! 4. Put each mix in a separate pan and bake for the directed time. 5. 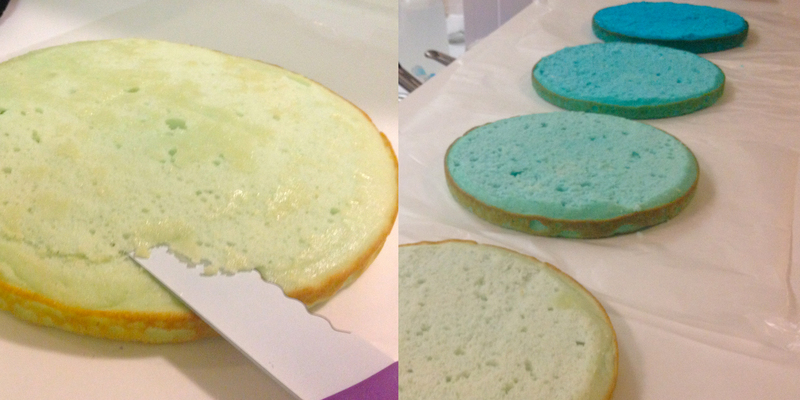 After the cakes have cooled – cut off the “dome” portion of the cakes. The cake should be flat on the top. 6. Take a cookie cutter (or in my case a glass since I didn’t have a cookie cutter in the size I wanted) and cut out as many circle as you can. Then lay them on a cookie sheet. 7. Let them cool in the fridge for about 30 minutes. 8. While its cooling get out a ziplock bag. This is one of my favorite baking tricks- cut a small hole in one of the bottom corners. If you have a piping tip, insert it into the hole, if not, this hole will work either way! 9. Put the frosting into the ziplock bags and take your cakes out of the fridge. 10. 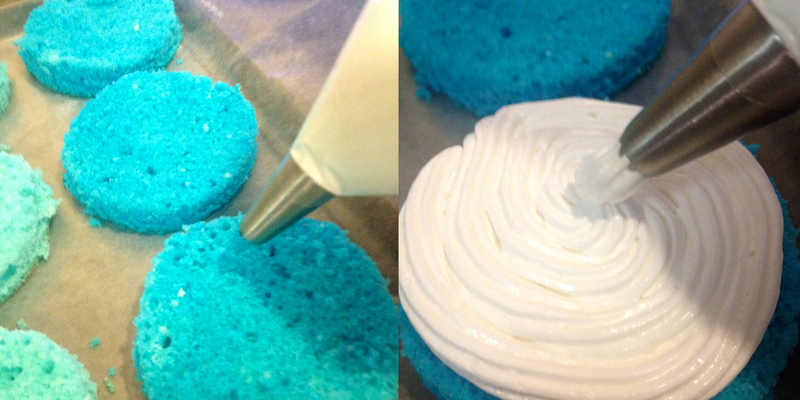 From the bottom up, start piping frosting on the bottom layer. 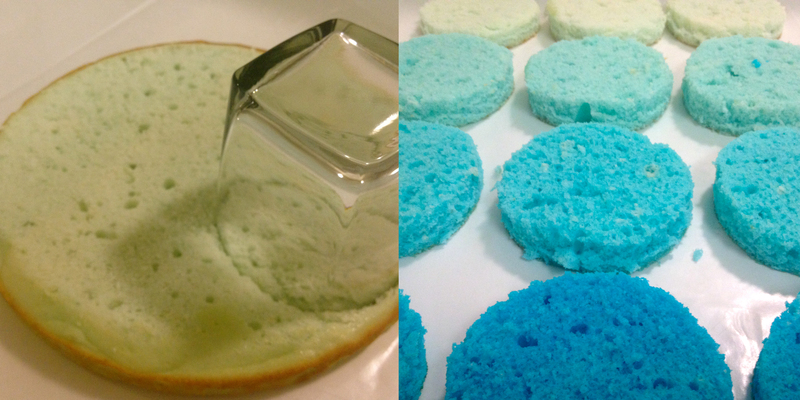 Add the next color cake on top of it and repeat; add extra frosting to the top layer. 11. Pop into the fridge to let it cool, then enjoy! 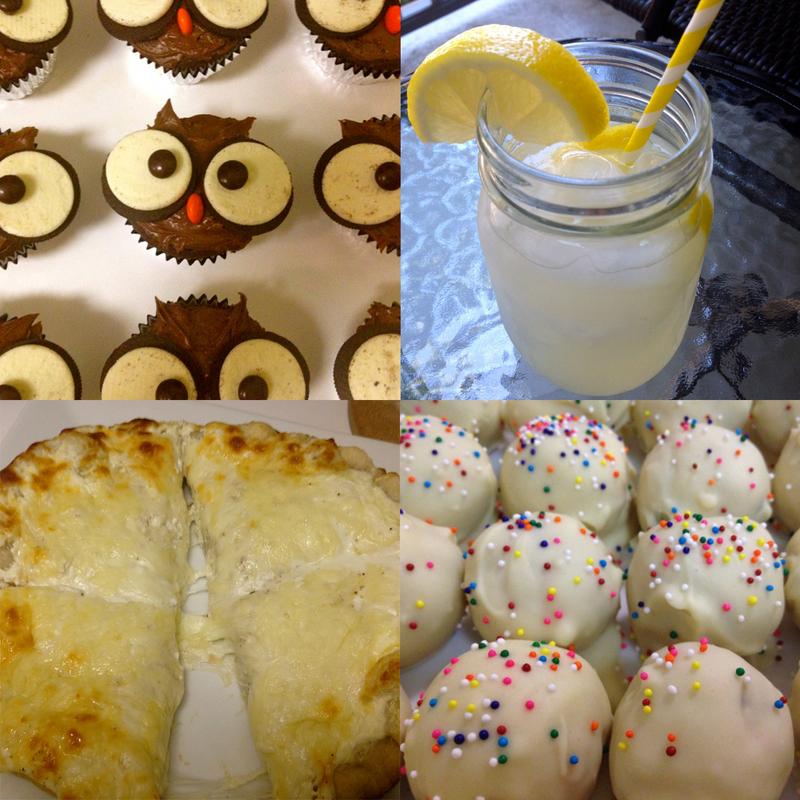 I hope you all enjoy this easy recipe! If you like what you’re reading, I would love for you to come on over and visit my blog, www.meetmeinparadise.wordpress.com and follow me! I promise to do my very best to keep you entertained, inspire your travel adventures and keep your bellies full! 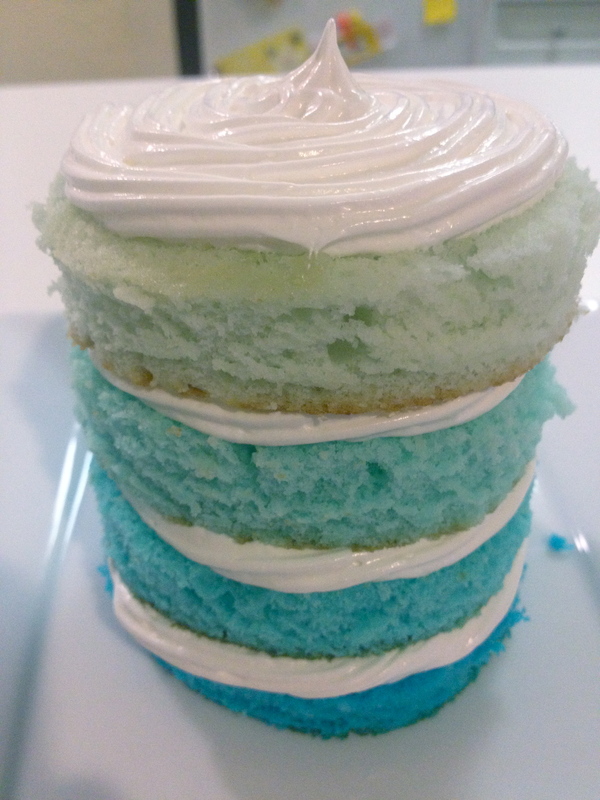 This entry was posted in Food & Recipes, Indulgences and tagged baking, blue ombre cakes, dessert, dessert recipes, guest post, mini ombre cakes, ombre cake, recipes. Bookmark the permalink.